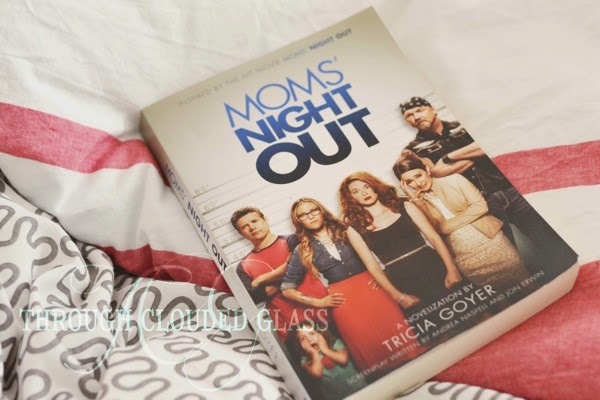 Mom's Night Out by Tricia Goyer is a novelization of the movie, Mom's Night Out (which I actually have not seen yet). Allison is overwhelmed - with three kids her life is a constant circus of messes, and she can't figure out why she is not feeling fulfilled. 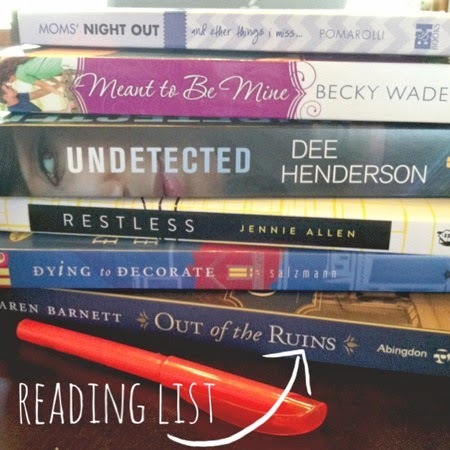 In desperation she plans a mom's night out with her pastor's wife and her best friend, and the three of them set out to enjoy an evening of not having to worry about their kids. That is, until all their plans backfire! This book was hilarious! For the first couple chapters I felt like I was reading pages out of my own life, and all the mishaps that occur as they just try to enjoy an evening out had me laughing out loud. Fiction book always gets high marks from me if it can make me laugh, and this one did. I loved all the characters in this book, each lovably flawed. I could so relate to Allison, because she keeps trying to make their night fun even when plans start to fall apart, to the point of trying too hard to make it work sometimes (which is probably what I would do). I liked that the author wrote from the perspective of each character, and the side story of the dads' adventures in taking care of the kids were so funny. I also felt like the "moral to the story", presented by a biker named "Bones" was sweet. I'd definitely recommend this book to any mom! 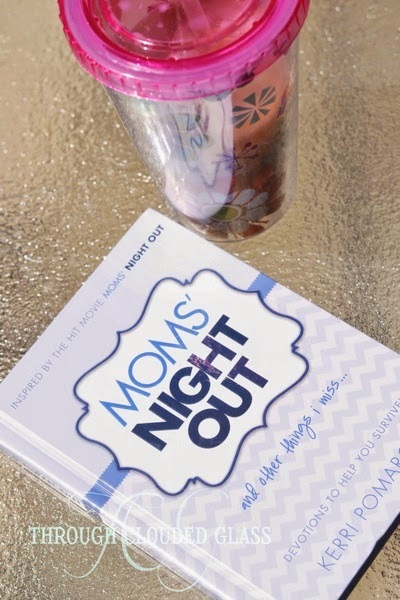 Along with Mom's Night Out the novel, I also had the opportunity to review Mom's Night Out . . . And Other Things I Miss by Kerri Pomarolli, who is a Christian comedian. This book is described as a devotional, so I was expecting some deeper insights into being a mom as I started reading it. I was not impressed. The points made at the end of each chapter were very surface-level, and the way the author tried to tie them into the rest of the chapter seemed like a stretch. However, after I looked up the author and realized she was a comedian, and after I realized that this was not like a devotional in my sense of the word, I just started reading it like any book - and then I started to like it. And the more I read, the more I enjoyed it! So many of these chapters are hilarious, and it definitely made my own hectic life as a mom feel more "normal". I so related to so many of the things that she jokes about in these chapters, and it had me laughing throughout the book! I would not call this book a devotional, and if you are looking for a good devotional I wouldn't recommend this book. However, if I look at this book as a collection of encouraging and humorous stories for moms, instead of a devotional, I can honestly say I enjoyed it a lot! I'm passing it on to my sister, because I think she'll get a kick out of it too. And really, what mom couldn't use a good laugh in the middle of a stressful day of taking care of our littles? So if that is what you are looking for, I recommend it! So I've read both of the books - now I just need to see the movie! Did any of you see it yet? Was it good? If it's anything like these books, I think I will enjoy it! Note: I received both of these books for free from Litfuse Publicity in exchange for this review. This is my honest opinion. I've posted my hospital packing list in the past, but I realized the other day that I never really expanded on that list! 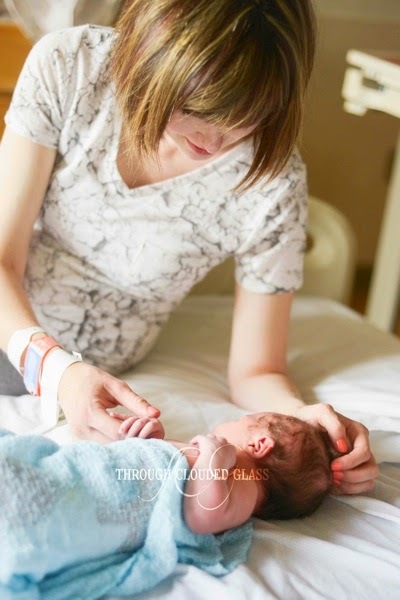 Since it was over three years ago, and since I've been asked about this topic more recently, I thought I'd go ahead and post a few tips on getting ready for the hospital for first time moms as a supplement to my original list. There are a few things that I was particularly glad I did when preparing for our hospital stays, so I'm going to focus on those here! Switch to waterproof mascara in the last month or so of your pregnancy. I think I've mentioned before that you should pack waterproof mascara, so if you cry at the hospital you won't have mascara running everywhere. But really you should switch to waterproof before that, so you don't have to worry about black rivers under your eyes should you cry when you see your baby for the first time. And maybe you should cry in the mascara before the hospital too so you can confirm the waterproof claim, because my "waterproof" mascara with Clyde was a big, fat fail. If you can't muster up any tears, just watch this video. Or read this book. There you go. Bring a sleep shirt. Just get out of the hospital gown as fast as you can. When Emily had her daughter she wrote about bringing a button-down sleep shirt to wear at the hospital after the birth, and I loved the idea. It's short enough for the nurses to check you postpartum, and the buttons are great for breastfeeding, but you'll actually feel cute. I loved having my sleep shirt with Gwen, and I got another one to use after Clyde was born. Bring movies. You may not actually use them, but trust me, they are good to have. If you are admitted for some other complication before your baby comes (like our hospital stay a week before Wyatt was born), it will be nice to have something to watch besides the soaps that are on during the day. Think about your clothes for photos. A lot of hospitals these days have professional photographers that will come by and take pictures of you and your new baby. Our hospital worked with Bella Baby, and I love having the shots of us together! If you are planning on getting any special pictures taken during your hospital stay, you don't want to be wearing the ugly gown they give you. It doesn't have to be anything fancy - with Wyatt I wore pajamas, and with Gwen and Clyde I wore yoga pants and a white t-shirt. But bring something casual that will look alright for pictures (if your sleep shirt is pretty enough, that might just work by itself too). Have an extra bag you can grab quickly. I pack most of my hospital items in one bag, but there are certain things I need on a day to day basis - like my flat iron, or my glasses. I have an extra little bag that I keep those kinds of items in - that is just their permanent storage place for the last month of my pregnancy. Then when I go out and about, or when I go into labor, I can just grab that one bag with a few items and I'm good to go (instead of running around trying to pack last minute things into my main hospital bag). 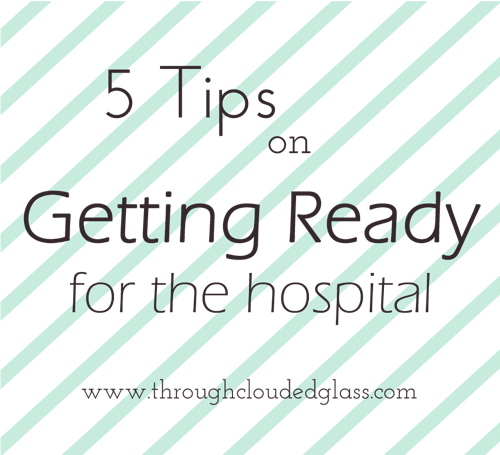 If you ask twenty different mothers about their best tips for getting ready for the hospital, you'll probably get twenty different answers, but these were the things that I was glad I remembered! Moms, what were some things you did to prepare for the hospital? Comment below! First off, I hope everyone had a nice, and meaningful, Memorial Day weekend. I am so thankful for all the people who have given their lives in defense of our country - it's so important to remember their lives. We owe so much to those fallen heroes and their ultimate sacrifice to protect and preserve our freedom. We didn't do much of anything over the weekend except spend time together as a family. Oh, and Derek and I squeezed in a date on Saturday! Our first since Clyde was born. It was really nice. And I didn't sit down at the computer at all, so today I thought I'd share a project I worked on when I decorated Wyatt's big boy room several months ago. 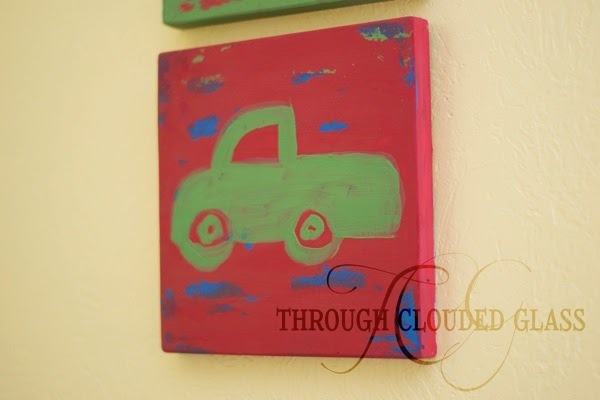 Creating these plaques was really easy, and I think they would be pretty adaptable to different colors and themes for any kid's room! Last fall, when I was putting together Wyatt's new room, there was this awkward space right above his bed that I wasn't quite sure what to do with. Most of the decorations from his nursery filled up the other walls, but I didn't know what to hang above his bed (it doesn't help that I get paranoid about things falling off the wall and onto my sleeping children, so anything really heavy or that involved glass was out). I kind of wanted to get some sort of plaque or printed art set for that space, so I looked into different types of nursery/kid's room art. But everything is so expensive! I didn't want to fork out $40+ just for a couple items to hang there, so I decided to make some myself. Step One: Get some wooden boards. I asked my dad how he thought I should go about getting some little square boards for a project, and he said he had a bunch of wood lying around and offered to cut some for me himself (thanks Dad)! I asked him for three 8x8 inch boards (they are about a half inch thick). Step Two: Paint and distress the boards. 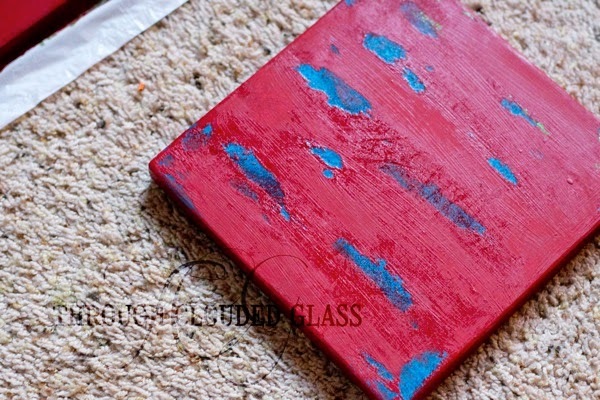 I wanted to try out a distressing technique to make the paint on the boards look worn, and I followed a tutorial I found on Pinterest, which I cannot for the life of me find again! Isn't that how it works? So I'll summarize here. I painted the boards my base colors. Next, I applied a thin layer of petroleum jelly in certain spots. Then I painted with a different color over that. I just used acrylic craft paint that I bought at Hobby Lobby. After the second layer of paint dried, I used some sandpaper to take off the top layer of paint. 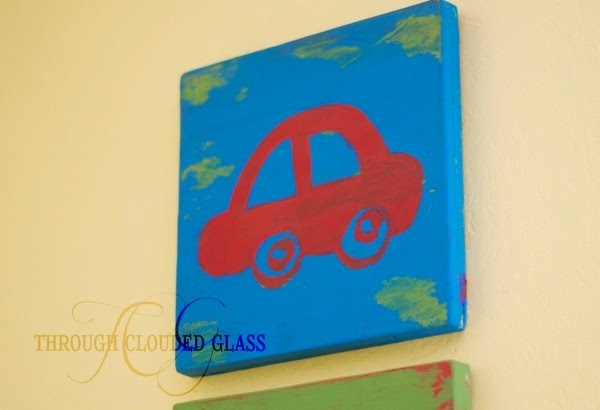 The petroleum jelly makes the paint come off easier! Actually a little too easily, because I feel like some of the "distressed" spots looks a little chunkier than I wanted. If you want a more natural distressed look, I'd recommend using q-tips to apply it more specifically. For my purposes the bigger spots looked fine though! Hint: Be careful after you apply the second layer of paint, because the petroleum jelly causes the paint to stay somewhat wet over the spots where you applied it - don't set it down on something that might stain! 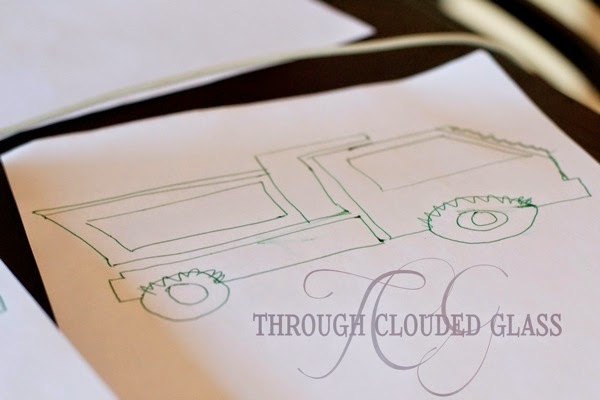 Step Three: Create some silhouettes to trace onto your boards. Next I had to decide how to decorate my plaques. I wanted to do a transportation theme, because Wyatt is so into cars and trucks right now. 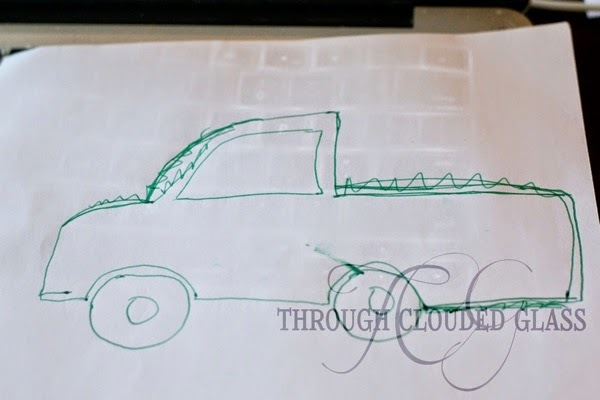 I found some silhouettes of a car, truck, and dump truck, and I tried to replicate them by sketching the shapes. I used simple silhouettes, so it wasn't too hard. 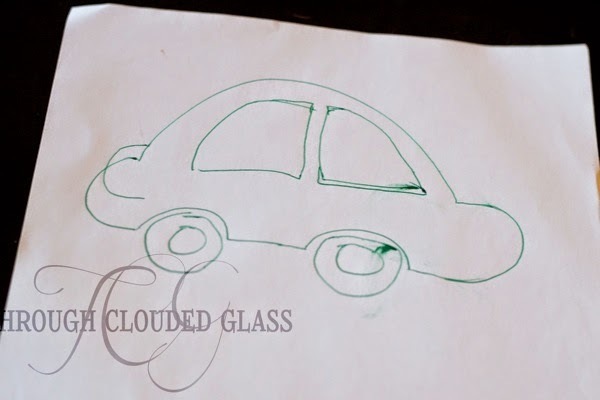 Once I had my drawings the way I liked them, I laid them on top of the wood, and used a pen to trace the lines I had already drawn, pressing firmly so that it would leave the outline in the wood. Then I just painted inside the lines. 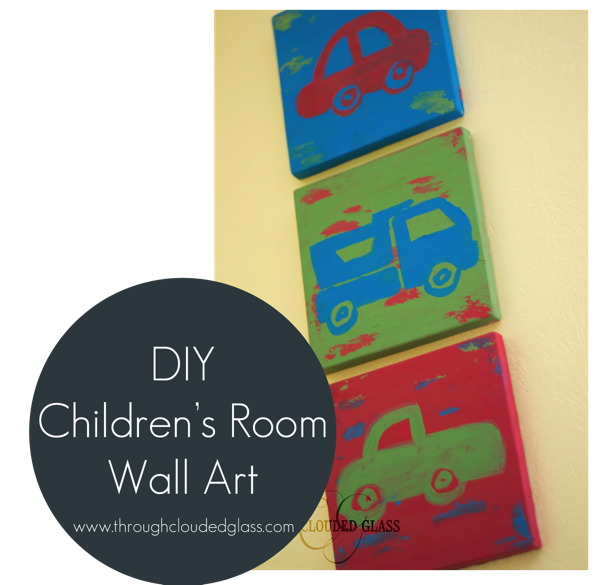 Step Four: Hang your children's room art! After all the paint was dry, I nailed hooks onto the backs and hung them up in Wyatt's room! 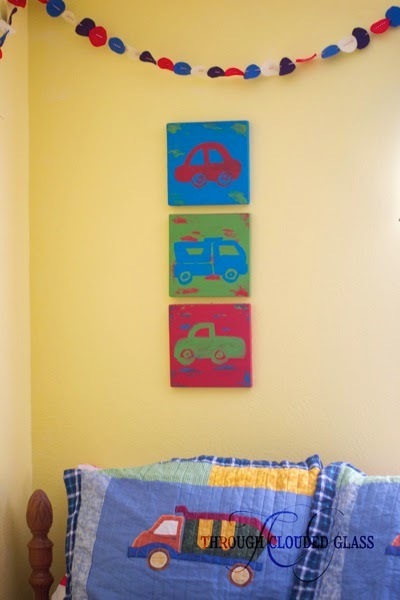 They work perfectly in that space above Wyatt's bed, and I am really happy with the way they turned out, and the total cost was . . . I think three dollars for the paint? Not much. 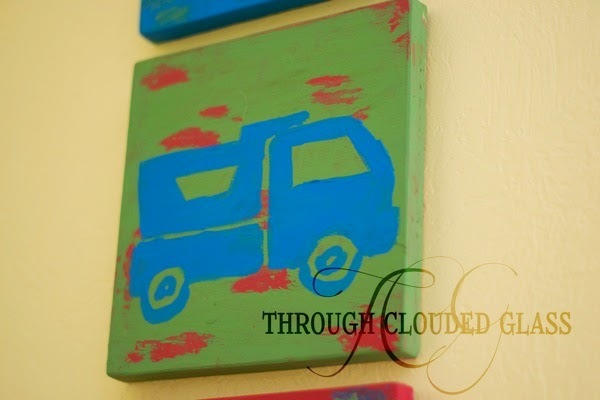 They were pretty easy to make, and the simple shapes are perfect for a little boy's room! 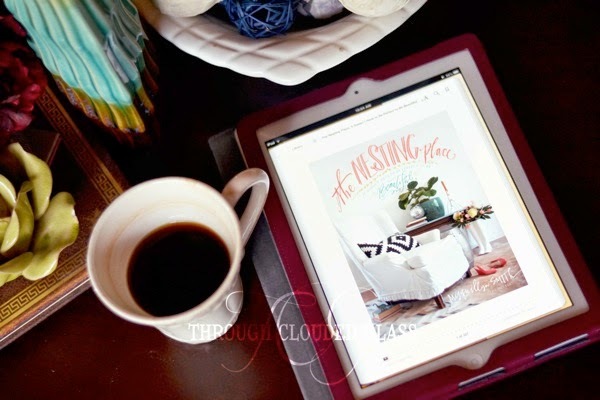 I requested The Nesting Place: It Doesn't Have To Be Perfect To Be Beautiful by Myquillyn Smith because I needed an e-book to read during middle of the night feedings with Clyde - it looked like a book with pretty pictures, and something that wouldn't be too heavy when I was already tired. I did not expect to love this book so much! I had never read Smith's blog before, so I went into reading this book completely unbiased, and I have to say I think she gave so much good decorating advice. What I liked though was that this wasn't just a dry read about colors and decorating ideas - Smith also shares her personal stories and experiences throughout the book, and it made it really interesting to read. -She talks about "quieting" a room - taking everything out of the room except for the "bones". All the decorations should come off the tables and walls so you can see what you have to work with and what improvements need to be made to the basics in the room. I was so inspired I did it with my living room, and I think I decided I need new curtains. I'm really done with the ones I have (actually I've been done with them for a while, I just needed some motivation to do something about it). -She talked about not just looking for new or trendy pieces, but also using the pretty things you already have - the things that have personal history to them, like a vase you got from your grandmother, etc. Her talk about finding ways to incorporate what you already have, i.e. "shopping" in your own house, have already inspired me to do some redecorating - without even spending any money yet! 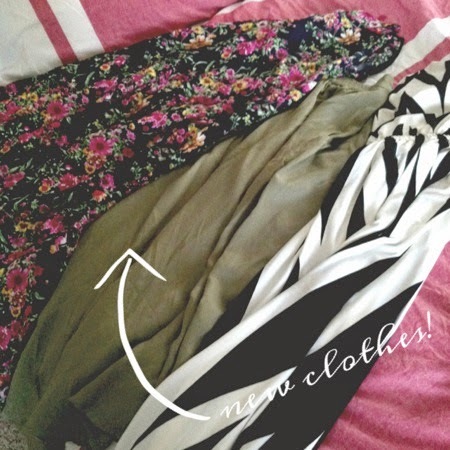 -Smith included a ton of great ideas for thrift store shopping and working with a budget as well, which I always appreciate! 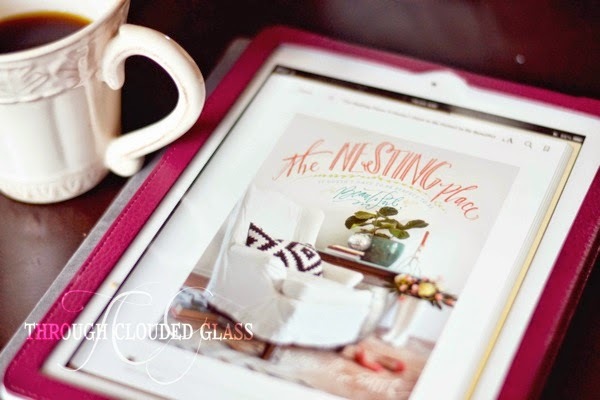 This book is one that I'll probably be referring to again and again - I don't think it will stay on my digital bookshelf, because there were so many great insights and ideas for creating a space that you love. I know that I've been dissatisfied with my living room for a long time, and this book was the "oomph" I needed to reevaluate what I have, identify some of my bad decorating/shopping habits, and make the most of my space instead of just wishing it was different. I think people of all decorating styles could get a lot out of this book! For several years now I have used a writing program to write my blog posts, instead of composing posts directly in Blogger - and I have to say, I love it! I've never been able to go back to writing in Blogger since I started using a program, so today I thought I'd talk about a few reasons why I like it. 1. It allows me to compose posts offline. This was especially useful when we had a more finicky internet service, but when you are working with a writer, your post drafts are saved to your computer. So if you are not in a place where you can access the internet, you can still prepare blog posts, format them, and get everything ready to hit "publish". 2. It is easier to add and position photos. Maybe it's just my computer, but I always have a hard time moving photos around when I try to add them into a post in Blogger. With a writer, you can just drag photos into the post you are composing, and it's easy to move photos around in a post. 3. Photos are resized for you and uploaded in one batch. When you add photos to your post, you can either choose the exact dimensions you want it to be, or in some writers you can even drag the corners of a photo to size it a precise way. Then when you upload your post, everything is uploaded in one batch, and the sizes of the photos are exactly how you sized them in the writer. This makes the uploading much faster because the photos are not being uploaded at full size, and it saves me work and space in my Picasa albums by re-sizing photos for me. Those are the main things I like about using a writer, though I'm sure others could list more benefits that I haven't really utilized. So what writer do I use? I first started using a writer when I had a PC, and the program I used was Windows Live Writer. If you are a PC person, you are in luck! I loved Live Writer, and I've never been able to find another program that is quite the same after I switched to Mac. I was pretty sad to not be able to use Live Writer anymore when we switched - I've adapted a lot since then, so I don't remember all of the things I could do with Live Writer that I lost. But I do remember the photo-sizing options being more smooth and easy to use because you can drag the corners of photos to size them a certain way. Live Writer also formats the program so that it looks like the format of your blog - so you can really see how the post is going to look before uploading it. I think it also allows you to edit posts that have already been published, and I seem to remember being able to back up my posts from Live Writer (correct me if I'm wrong - it's been a long time). I think you can also choose to have your photos uploaded to a website other than Picasa, which is nice if your Picasa albums fill up. All perks of Live Writer. And the best part is that you can get it for free! You can download Live Writer for free here. I did a lot of research after switching to Mac, and I finally decided on getting MarsEdit. It's similar to Live Writer, and it looks like they've even improved a lot of things since I downloaded my current version - you can now edit the HTML of a post in MarsEdit, and they've also added a preview feature and an option to format a template to match your blog. With the version I have, you can only compose drafts in MarsEdit, you can't update posts that have already been published. You also can't resize images by dragging the corners (you have to pick the size you want when you add them to your post). I'm not sure if those things are different in the new version or not. Live Writer is definitely the best out there, but I've actually come to really like MarsEdit too. It still allows me to compose posts offline and save drafts until I'm ready to publish them, and it still is way nicer for dealing with photos. I wouldn't trade MarsEdit for composing in Blogger. Unfortunately you actually have to pay for MarsEdit - I think it's $40 from the app store? We got a free gift card to use for apps when we bought our Mac, so it didn't really cost me anything extra at the time. You can try a free 30 day trial of MarsEdit here. 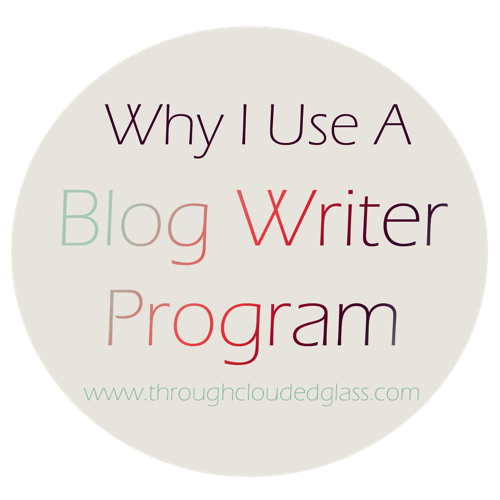 Do any of you use a writing program for your blog posts? What is your favorite program? What are some of the reasons you like your writer? I can only speak about the two that I've used, so I'm curious to hear what you all think! Categories: Blog Tips And Tricks, Blogging, Tips And How-To's, What Do You Think? First, can I just say that if you have e-mailed me in the last month, I am so sorry! Going from two to three kids has been a bigger adjustment than I had anticipated. For the first month I feel like it was just a matter of keeping myself and the kids alive and relatively happy from day to day. I'm not going to lie, there were multiple meltdowns during those first few weeks (and I'm not talking about the kids). When I did have a few minutes to myself it was a choice between blogging or working out, and since the baby weight is not falling off this time, working out has been winning. Then Clyde turned a month old, and all of a sudden I hit my groove. Things just seemed much more balanced and manageable all of a sudden. Last week I actually worked out every day and read a few blogs and wrote a post from scratch! All in one week! This is huge, people. The nap time goal this week is to catch up on emails, so if you've been waiting for me to respond, the plan is to make it happen this week! I'm going to try. Thank you for being patient with me! This is what we've mostly been doing - hanging around the house, and cuddling, and reading books, and playing. And then I chase Wyatt and Gwen around and clean up the messes. It's actually been pretty nice! It's pretty tough on your abs, and I could barely do most of the exercises when I first started. But now they are way easier! I was also amazed at how my sciatic nerve pain (which was also making some of the exercises difficult for me) has improved since I started on a regular routine. I think it's the physical therapy aspect of some of the exercises, but it feels so much better than it used to. Everyone always touts the benefits of working out, and I guess I just forgot that they are right! 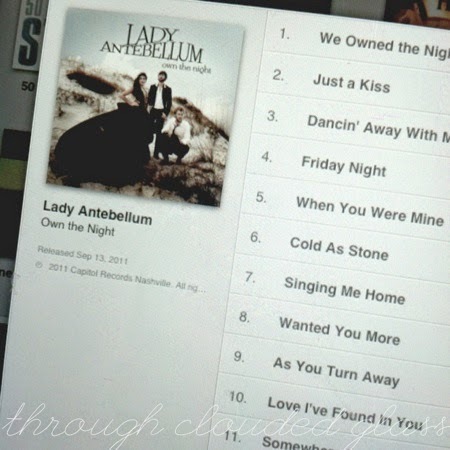 I'm also enjoying this album, since it's getting closer to summer. Every song just feels like summer music to me. 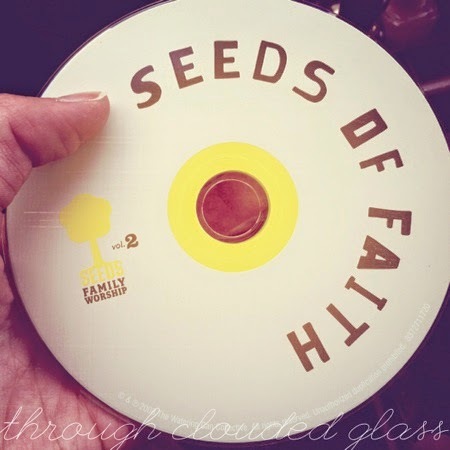 It's songs based off of Bible verses, but they are actually fun for adults to listen to as well. They have a whole series, and I'd like to get another one. Derek has spoiled me the last month. 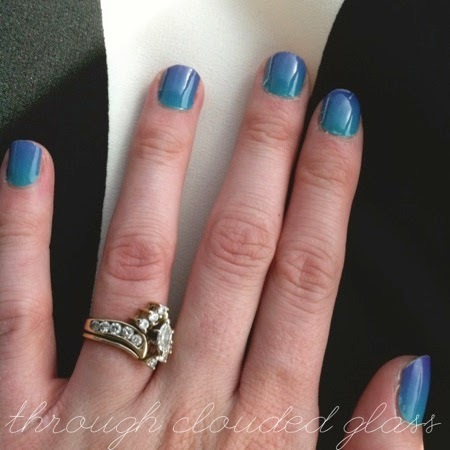 He bought me some new Jamberry Nail wraps, and they are so fun! I also had a little cash to spend on clothes and I got a few new items. Mostly skirts and dresses since most of my pre-pregnancy pants are still not buttoning (but we won't talk about that, because it's depressing). Anyway, skirts and dresses have been making me feel best about myself right now, so I'm excited for the warm weather days when I can wear them! 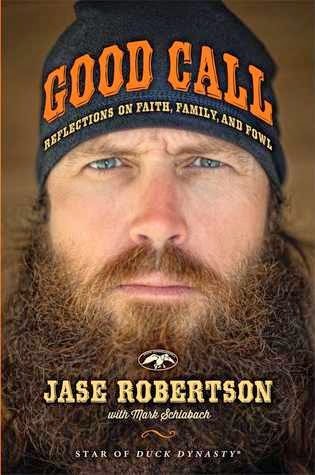 Jase wrote a book! Jase is my favorite Duck Dynasty guy. I think he is so funny, so I really want to read this one. And that is pretty much my life lately! What about all of you? Read any good books lately? Any favorite "summer music" I should check out? Despite what this title might imply, I am not weaning Clyde at one month old! Lord willing, we'll be going at this breastfeeding thing for a while yet. 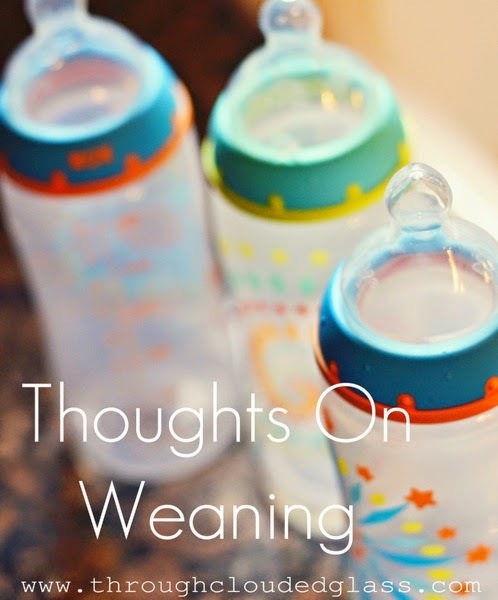 But some lovely bloggers are hosting a linkup about the toddler years over the next few weeks, and I thought I'd join in this week - the topic is weaning and transitioning to cow's milk or formula. I loved nursing my babies. Aside from a very rough start with Wyatt, my time of breastfeeding Wyatt and Gwen was uneventful and special. I loved the bonding time with my kids, and I still treasure those memories. I weaned both Wyatt and Gwen around six months old for a few different personal reasons. You may be thinking, wait, aren't you supposed to breastfeed for a year? Yes, that is the recommendation, but six months was just the right time for us. Breastfeeding to a year would have been great too, but personally, I don't have any problem with using formula. I still wouldn't change it. We started trying for another baby soon after I weaned Wyatt because I anticipated problems, and it did end up taking eight months and a trip to my fertility doctor to give us the beautiful gift of our Gwen-girl! After I weaned Gwen we were not trying to have another baby right then, but a month later I got a surprise positive test - Clyde was on the way! If I had nursed longer with either of my kids, I'm not sure Gwen or Clyde would be here. 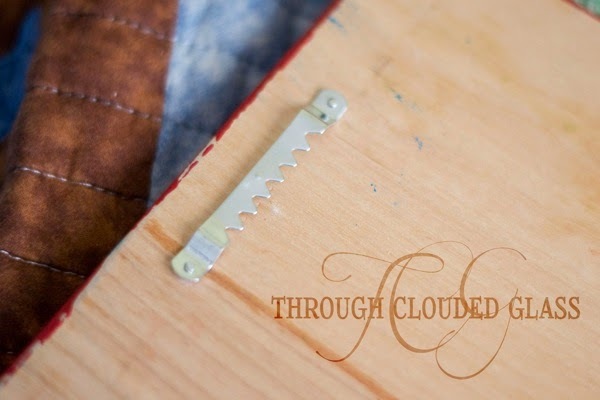 I can see God working through our story, even in something as emotionally-charged as deciding when to wean. The decision of when it's the right time is very individual. I would just say to pray about it, decide what is going to be best for your family and your situation, and then come up with a plan. Because it was me deciding to wean I had to come up with a strategy for making it happen, rather than waiting for my babies to start dropping feedings themselves. The transition went really smoothly for both Wyatt and Gwen - I don't think they even noticed when we stopped. I followed a similar plan with both of them, so here are my tips. -Drop one feeding at a time. This is obvious, and you can read it on any website that talks about weaning, but I thought I'd better mention it here. Cut one feeding out, wait a few days (or even weeks), and then cut another feeding out. You don't want to quit cold turkey - that would be really hard on both baby and you! -Don't go straight to formula or milk. It's easier for baby to get used to the taste of the new stuff if you start out with a mixture. I always made a bottle of half breastmilk, half formula as a starting point, and then once they became accustomed to that I increased the percentage of formula until they would take a full bottle. -Enjoy your last nursing session. If you, as the mom, are leading the weaning charge, then you are going to know when it is the last time you will be nursing your baby. This can wreak havoc on your emotions. Thank you weaning hormones! (Yes, that is a thing.) Just enjoy it. Notice every precious detail. Write down your favorite nursing memories. Then feel free to cry for the rest of the day. -Drink peppermint tea. If you are uncomfortable during weaning, drink a lot of peppermint tea. Peppermint decreases milk supply. -Use cabbage leaves. This sounds really weird, but if you take a cabbage leaf and put it in your bra, not only will the coolness ease the discomfort, but something in the cabbage helps decrease your supply. 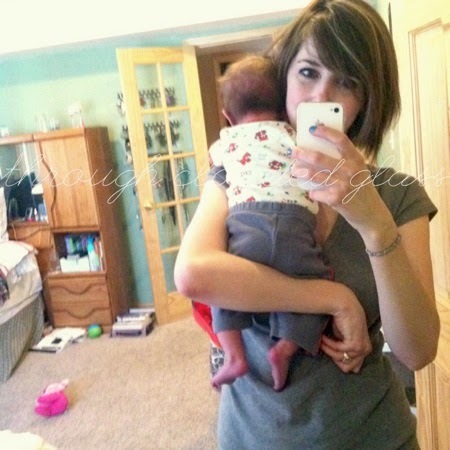 This helped me a lot during the weaning process! I would recommend only using them when you are going to be hanging around the house though, because you will smell like cabbage. Just take a shower before your husband gets home. -Drink sage tea. Sage tea also decreases milk supply by decreasing your prolactin levels. I tried this with Wyatt because I weaned him right before we went on vacation, and I wanted to dry up my milk before we left. Sage tea is kind of gross, but I put a bunch of honey in it to make it taste better. However, if you do happen like the taste, don't add it to your tea cabinet. Long-term sage tea consumption can be toxic. Not necessarily good for you, but good for getting your milk to dry up faster. -Go out and buy yourself a new bra! Weaning is hard. It's emotional, it's uncomfortable, it kind of makes you feel like a cow. You deserve a little celebration when you are done - so ditch the nursing bras and go buy yourself something shapely and cute! You earned it. 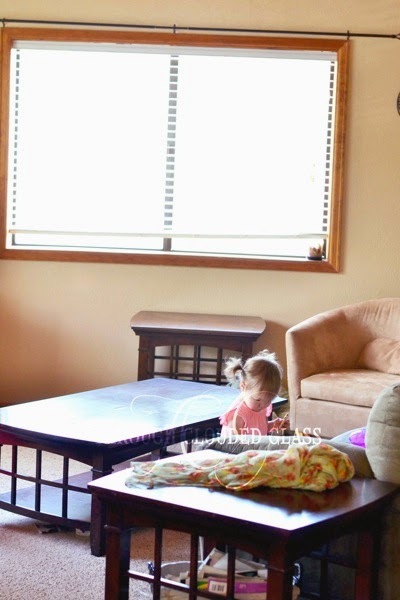 What process did you go through - emotionally and practically - when you weaned your child? I am so excited to share the second half of our maternity pictures with you! Danae and Scott are so good at interacting with the kids, and they got so many great ones of all of us together! I love the way they turned out. I'm posting the rest of the pictures on my photo blog, so head on over there to see them! And prepare for a ton of cuteness - the kids were really cooperating and the pictures turned out so good! I love to have readers follow along! Note: There are tons of cute pictures of my sweet boy on my private photo blog, visit my photo blog to read the full update! My sweet Clyde is 1 month old! Sheesh, that last month went fast. I still feel like he is brand-new - and he is, but it's weird to me that I can now count his age in months instead of weeks. He's changed so much already. He has really good neck strength, especially for being so little! Even when he was a day old he was trying to hold his head up, and he has been getting better at it. He lifts his head up, and his eyes open wide, and his little forehead wrinkles, and it's the cutest thing ever (I'm pretty sure I've used that phrase for all of my kids at some point - they all are just the cutest things ever). I love his little arms and legs - they are so wrinkly. I say they are "scrawny", but I mean that in the best sense - they are just so tiny, and skinny, with itty bitty little muscles, and it's cute! And can we talk about his hair? I think it might be curly, because right after his baths it curls a little on the ends. When it's clean it's fuzzy, and stands up from his head. I love it. It's pretty thick in the back and thinner in the front, so it's hard to see how much hair he has in pictures. One of the cutest things he does right now is "fake" eat. When he is eating, or sucking on a pacifier, sometimes he'll spit the pacifier out but he'll still make a sucking motion with his lips. It looks like he's sucking on his own lip or tongue, and he'll do that for a full minute sometimes before he realizes there is nothing actually in his mouth. It's accompanied by little kissing noises sometimes, and it's so adorable! When he first did it I thought he was trying to fake me out - he was done eating, but it looked like he was pretending he still was so that he could snuggle a little while longer! I think it's so funny. Sleep is going pretty well. He has had a few nights where he wakes up every couple hours, but most nights he'll go at least one five hour stretch. We keep his room warm with a space heater and play his ocean noises, and he settles down pretty well. Our roughest times seem to be in the morning, and sometimes right before bed. He will cry for no apparent reason and I know that his stomach is bothering him. I'm not sure if it's something that I'm eating? It makes me so sad. He always calms down when I pick him up and snuggle him, like he expects me to make it better. We've started using infant gas relief drops, and he seems to be doing slightly better. He is such a snuggly baby! I am so glad he is a snuggle bug, because it's just my favorite thing ever. I love feeling his little head tucked under my chin, feeling his little breath whispering against my skin. It's so precious. I will miss this when he gets bigger and doesn't snuggle as much, so I'm soaking it up while I can. I love you, my sweet boy! I can't believe how much you have changed in a month's time. I may or may not have cried a little last night over how big you have gotten already. You make the sweetest little expressions, and I love the way you calm down so quickly when I pick you up. You are my baby, and you know I'm your mama. I love it when you fall asleep in my arms. I love watching you wake up - you stretch out your little arms and crane your neck, raise your eyebrows and then peek open one eyelid to look at me. You love to sleep with your hands by your face. You love to be warm. When you are awake, you are so alert. You look around, sometimes with a happy curious look on your face, sometimes with a concerned look, but you are taking it all in. You love your swing, but if you think we left you alone in the room you get upset until you realize that we are still there. You love being around people, and you don't like things to be too quiet. I just love getting to know you and your sweet personality, Clyde. You are such a precious baby, my little gift. I love you so much more than I can tell you. 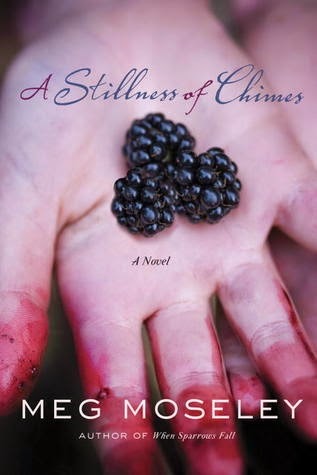 A Stillness of Chimes by Meg Moseley is the story of Laura Gant, who comes home to Georgia for her mother's funeral only to learn that her father has been seen around town - after he was thought to have drowned years ago. As she begins to clean out her mother's house she finds clues to a family history she was never aware of, and she starts to get her hopes up that her dad might be alive after all. This book gave me the feeling of musty smells and peeling paint, but in the best possible way. The descriptions of the town and settings were so colorful, and there was an undertone of creepy mystery through most of the book that added to the overall charm of the story. There was also a subtle romance through the book as Laura is thrown together with her old flame as she investigates. As I was thinking back on the story, I'm not sure I have read a book that was as interesting as this where so little actually happened! I thought it was very well written, and it kept me interested without even needing to use a lot of action, which is not easy to do. The characters were really believable and likable, and I liked the subtle character growth through the story. The ending was good and fit really well with the tone of the rest of the book, I thought. I'd recommend this book for anyone who likes a mixture of drama and mystery. I was so excited that my friend, Danae, was able to take our maternity pictures for this baby! Danae is a professional photographer, and if you remember she couldn't take my pictures with Gwen because she was on maternity leave with her own sweet girl. But she is my favorite photographer and always does such great job, so I was really looking forward to having her take pictures with this pregnancy! I was really wanting our pictures to have a springtime "feel" to them, even though we were taking them in winter. I thought my hopes were going to be dashed when we woke up the morning of the shoot and there was six inches of snow on the ground! Thankfully most of it had melted by the afternoon, and these pictures are the result. I love the little bits of snow on the ground, because that is exactly what springtime is around here - it snows, it melts, it's nice weather, it repeats. I had a really hard time narrowing the pictures down, because I love every single one she took! But I did my best. Here are the first half of the pictures! One thing I love about having Danae and her husband, Scott, take our pictures is that they are so good at getting the kids to play to the camera - not all photographers are good with kids, but they are great! We had them take Clyde's newborn pictures too, and I can't wait to see them! 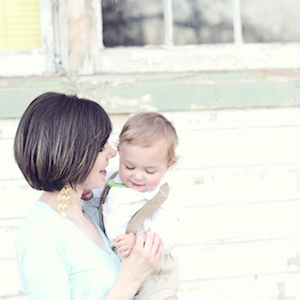 They got so many cute ones of Wyatt and Gwen, and of all of us as a family, at our maternity session though. Those are coming up next! Stay tuned.